A child, they say, gives birth to a mother. But most mothers need a little handholding now and then to bridge the distance between mom and supermom. If you’re looking to do that, add these three books to your reading list. Now! Most pregnancy guides focus on the nine months of pregnancy, from morning sickness to labour and birth and after. But fitness expert Namita Jain has chosen to chart out a complete fitness plan to ensure a fit mommy and an active baby. 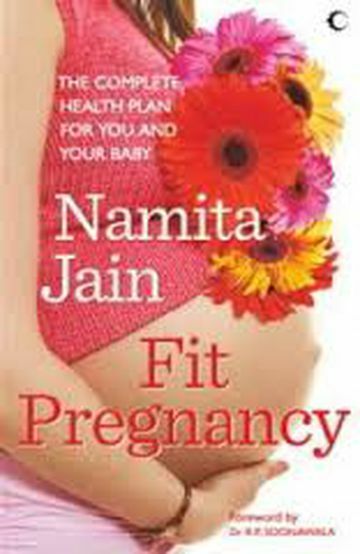 Her Fit Pregnancy, keeping in mind that no two pregnancies are the same, provides a guide to staying healthy – she focuses on themes such as weight gain, food, fitness, pregnancy blues and well being. She elucidates on the four vital food groups, common health concerns (such as heartburn, back pain and round ligament pain), exercises for the body and mind, and stresses on the need to enjoy these nine months for what they are – time to prepare for the miracle of life. A chapter for working women offers tips to keep the blues away while on the job and quick-fix exercise solutions. These times necessitate that pregnant women look their best; for this, she advocates regular beauty and massage treatments, and promotes blending fashion with comfort. If pregnant or planning to be, do pick it up!